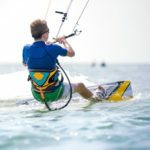 Hold on to your sails and get ready to stand up on an exciting kiteboarding experience. 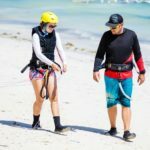 Whether in a large group or in a private session, these instructors will have you standing up and kiteboarding in no time! Whether a beginner, or an experienced surfer in need of new tricks, you will be learning fast and having the time of your life.